A much-hyped fast-track housing plan to deliver thousands of new homes for families will be gathering dust for at least three years before anything is done. The city scheme was announced by Government more than two years ago, but its promise of a quick supply of new homes is in tatters. Plans to develop 3,500 houses and apartments in the middle of Dublin city have been delayed as planners seek additional information in relation to major factors such as parking and community facilities. An Bord Pleanála has not yet approved the masterplan amid staffing shortages. A decision was due last July, and now the board has written to the city council seeking additional information on community facilities to be provided for the 16,000 people set to live and work there. The latest delays call into question the Government's credibility in tackling the housing crisis with the fanfared fast-track schemes. When Poolbeg West was announced in May 2016, then-housing Minister Simon Coveney said he expected it delivered at a pace that would "take people by surprise". But construction works are now unlikely to take place before 2020, despite rising prices, and as the numbers living in homeless accommodation approach 10,000. The delay emerged as current Housing Minister Eoghan Murphy endured another torrid day, admitting the crisis had not yet peaked. He added that a 're-categorisation survey' had identified 741 people that were incorrectly being classified as in emergency accommodation. He told a Dáil committee: "I can tell you we are in the middle of a very serious crisis. "I can tell you that it is linked fundamentally to a lack of houses being built, but I can also tell you the building of new homes is ramping up very dramatically." However, the Poolbeg scheme remains stalled, as a masterplan drawn up by Dublin City Council is yet to be approved by An Bord Pleanála. In a letter dated September 18, the board asked for additional information to be provided by January 1. It wants more specifics around the community facilities to be provided, and information on proposed building heights. In addition, it wants detailed plans for public spaces, as well as information on car and bicycle parking arrangements. Poolbeg West is a Strategic Development Zone (SDZ) that was approved by the city council as far back as October 2017. But it was appealed to An Bord Pleanála, with an oral hearing heard in April this year. It includes the former Irish Glass Bottle site, bought at the height of the boom for €412m, and the adjoining Fabrizia lands, both of which are controlled by Nama; also two parcels of land both owned by the Dublin Port Company. Some 350 of the 3,500 homes will be for social housing, with another 550 affordable houses. Office and retail are also proposed along with two schools. 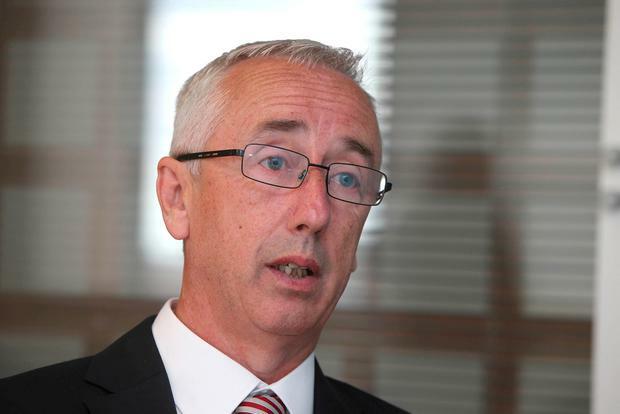 Local politician Kevin Humphreys (Labour) said he was furious at the delay, adding: "I'm totally disappointed at the level of information provided by Dublin City Council." A spokesman for Dublin City Council said: "An Bord Pleanála was to make their decision in July and that's now gone out into January. We're very concerned it's taking so long. The city council is disappointed with the timescale, we need to get moving on this." The Department of Housing said it continued to support the development of an SDZ in Poolbeg West. "However, given that the adoption of the SDZ scheme is an ongoing statutory process, the department cannot comment further." Mr Coveney is in New York on official business, and could not be contacted for comment. Then housing, planning and local government minister Simon Coveney says construction works in Poolbeg could begin in 2017, and plan would create "city living of real quality". "We need to create and encourage a demand to live in the city, with city living of real quality, and using the transport networks and infrastructure the State has spent a lot of money on," he said. 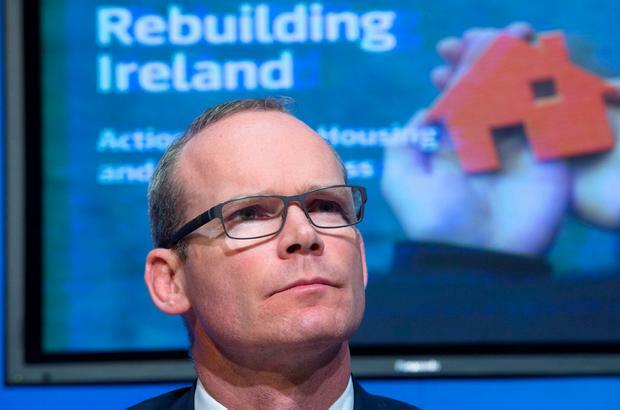 At the Housing Agency's annual conference, Mr Coveney noted that the Government had approved a new strategic development zone (SDZ) for Poolbeg. "I expect we will be doing more of that in terms of strategic development zoning," he said, adding he hoped to "take people by surprise at the pace that we can deliver that". In response to a Dáil question, Mr Coveney said: "The SDZ site has significant potential to deliver additional housing supply, including for social housing purposes, at a pace and scale that will greatly assist in addressing the current critical shortage of housing supply in the Dublin region." In a request for further information, An Bord Pleanála said: "Having regard to the Poolbeg West... the board may be of the opinion that the scheme is insufficiently clear in respect of community facilities, the overall design of the development and car and bicycle parking strategy."